For those of you who would like to try your hand at making your own sausage, we offer this wonderfully informative book. 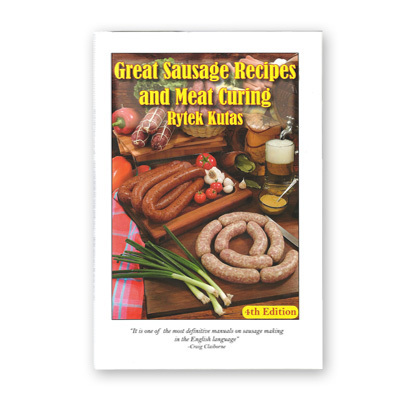 It not only includes recipes but also an interesting history of sausage making. Hard cover, illustrated, easy-to-understand, 500 pages of information.